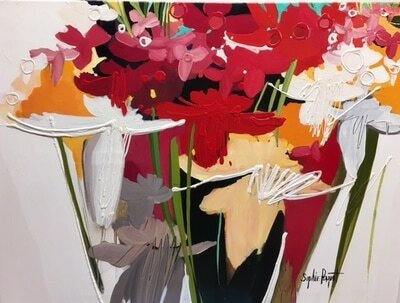 Sophie Paquet was born in Sherbrooke, Quebec in 1963. 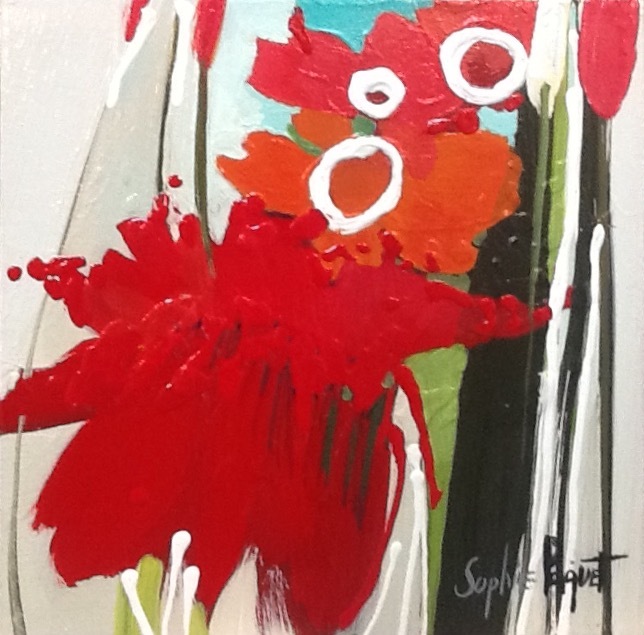 She discovered her passion for the arts at an early age. 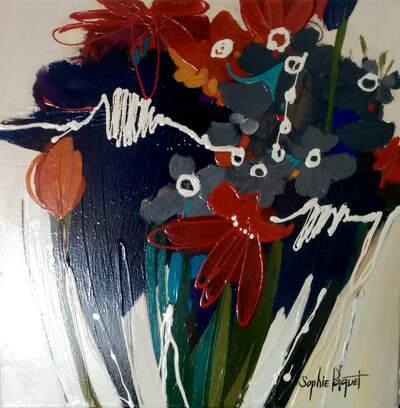 She studied arts at Sainte-Foy College where she won an award for a sculpture created as part of an ancient civilizations class. Sophie went on to obtain her Bachelor of Fine Arts from Laval University in 1985 and participated in many design classes after graduating. 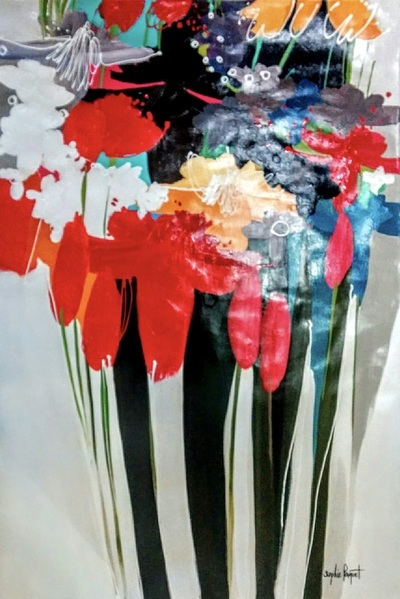 Sophie explores new ways to use her chosen medium - usually acrylics to emphasize the depth, texture, and transparency of her floral subjects. 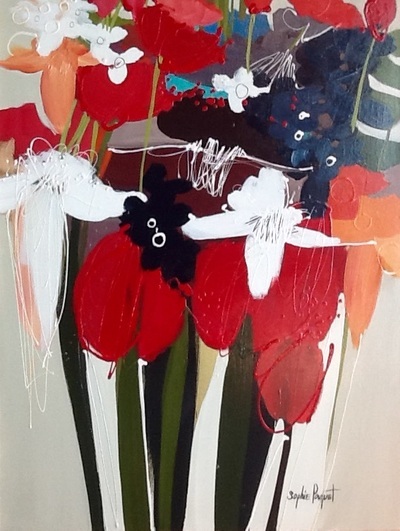 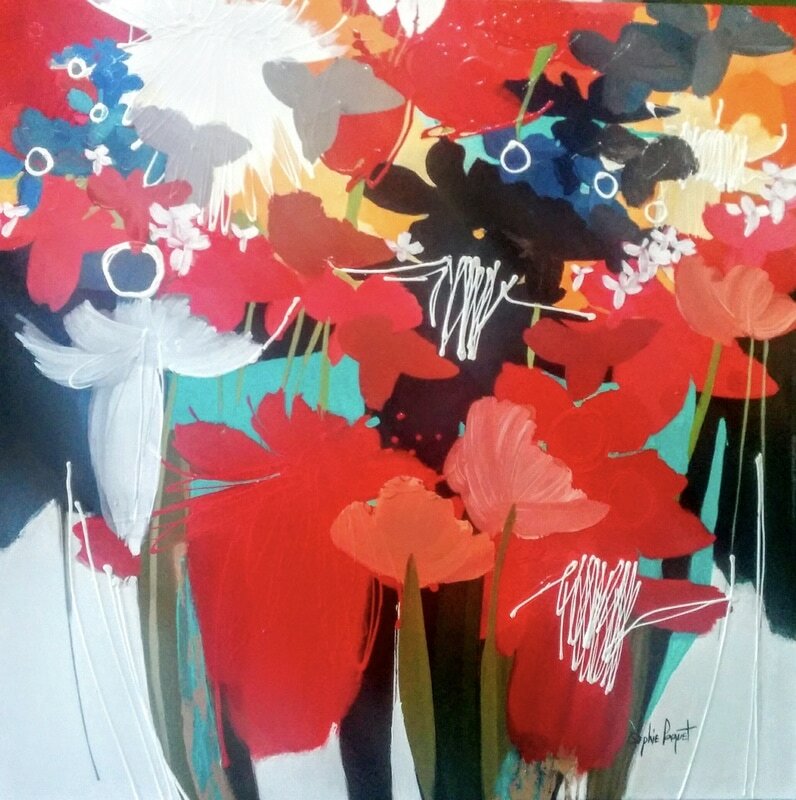 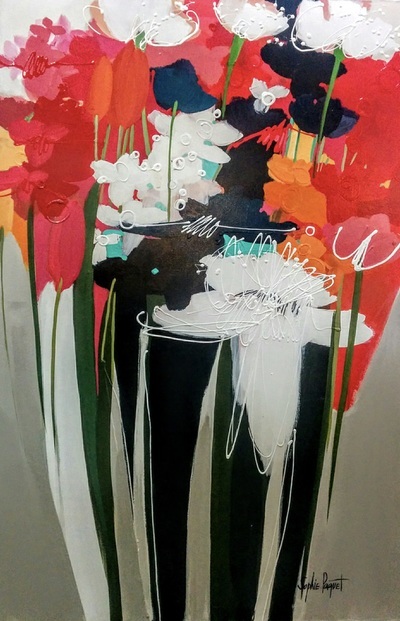 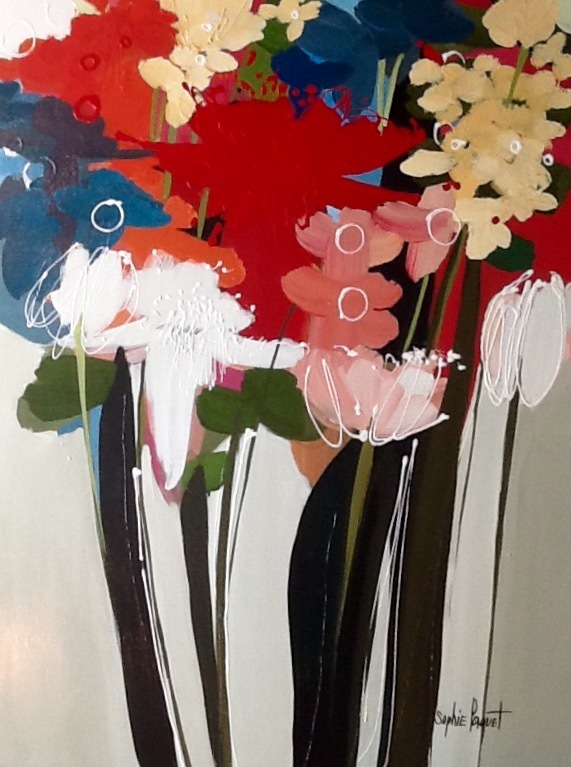 Variety and asymmetry are married harmoniously in her dynamic compositions. 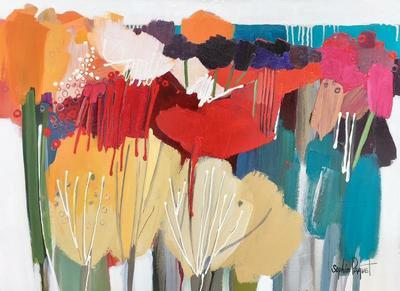 Her work is essentially expressionistic, demonstrating a level of sensuality that results from a unique sense of colour and gesture. 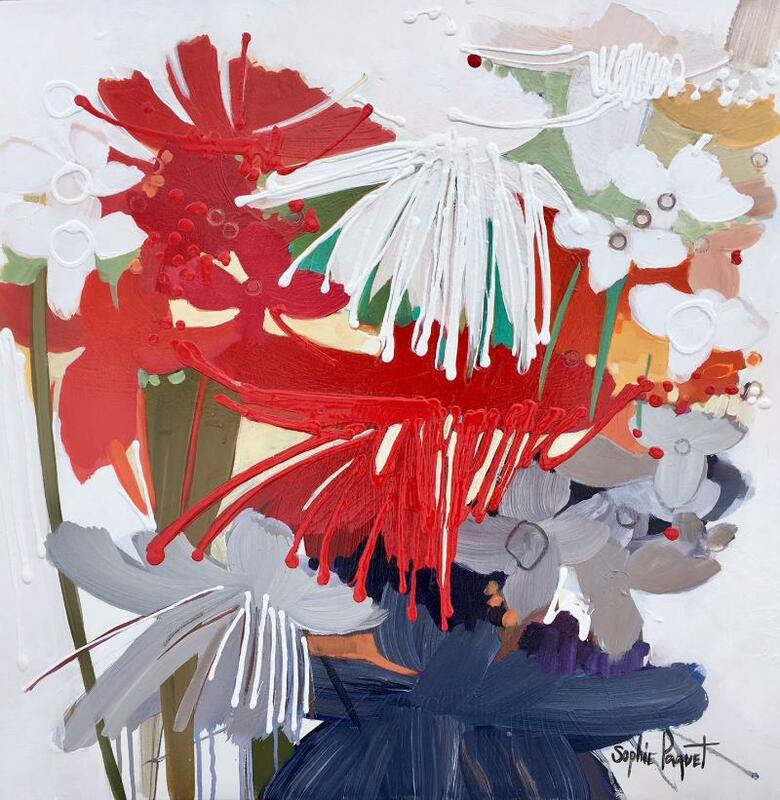 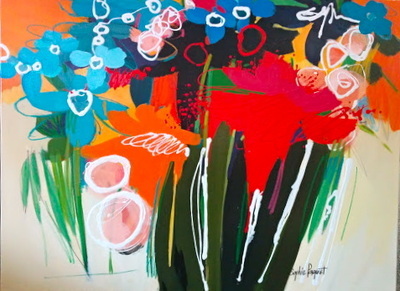 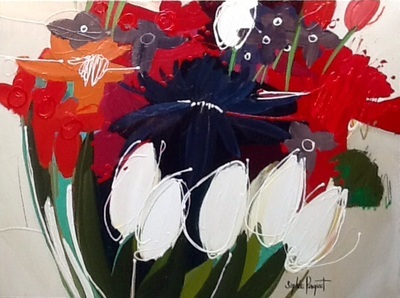 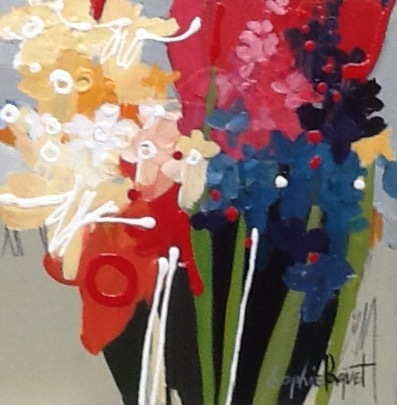 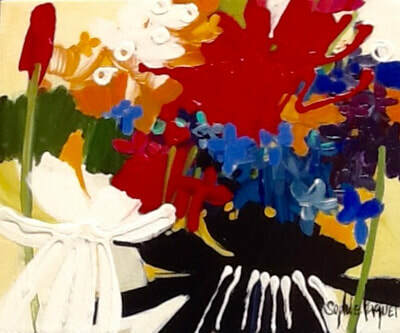 Often deliberately primitive, her rapid brushstrokes are the beats of her heart, bringing a pristine garden to life. 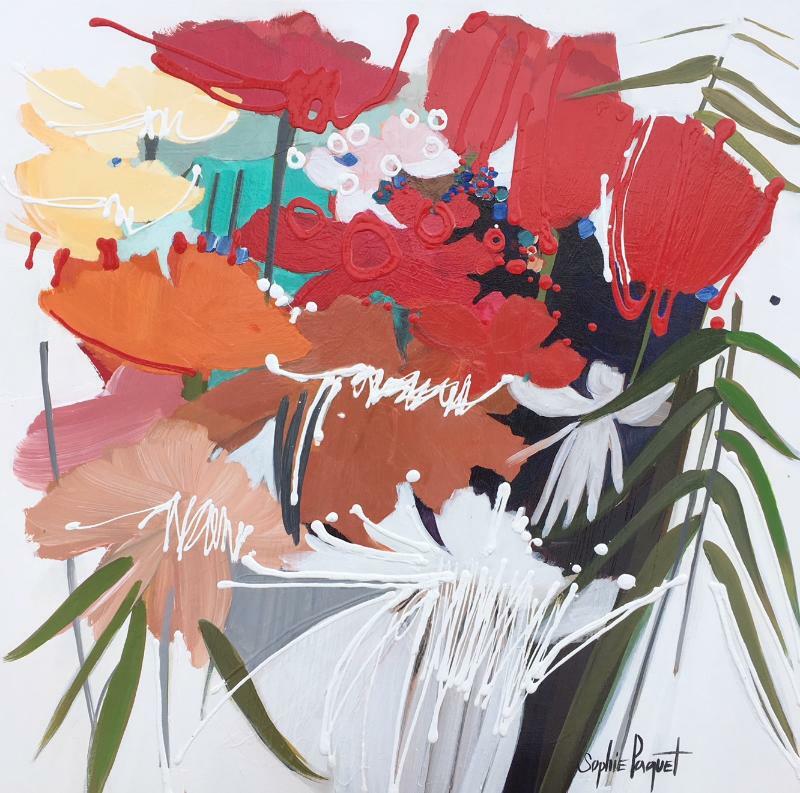 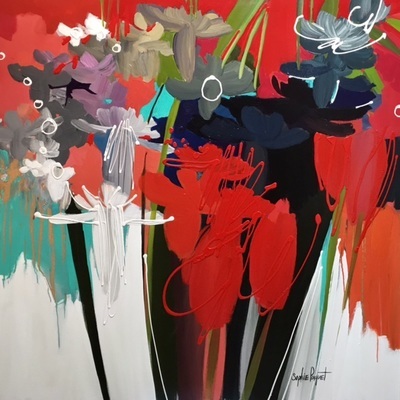 In her ingeniously assembled acrylics, a wealth of smooth, stylized forms tumble together, emphasizing their purity of line with an explosion of colour, light, and texture. Sophie Paquet has taken part in solo and group exhibitions across Canada and the United States and her works have been featured in many publications. 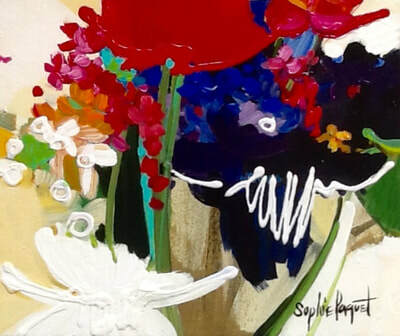 Her paintings are held in numerous public and private collections around the world. 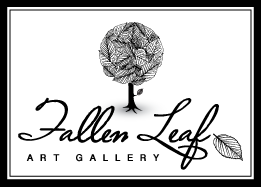 See Sophie Paquet's works at Fallen Leaf Art Gallery the next time you're in Canmore.